We found this in our mailbox. 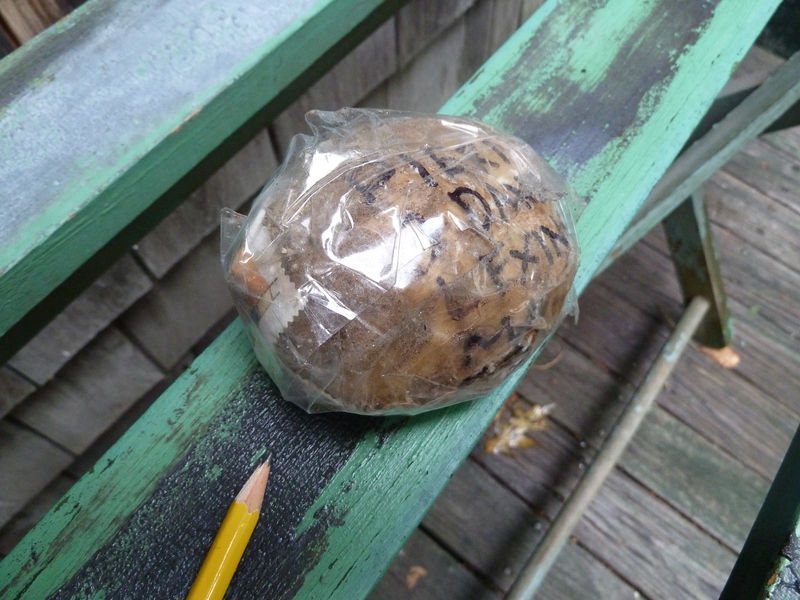 It is a potato with an address and stamps. It arrived just like this. Our oldest son dug it up during the Idaho stint of his cross-country cycle ride. He explains this odd mailing here. 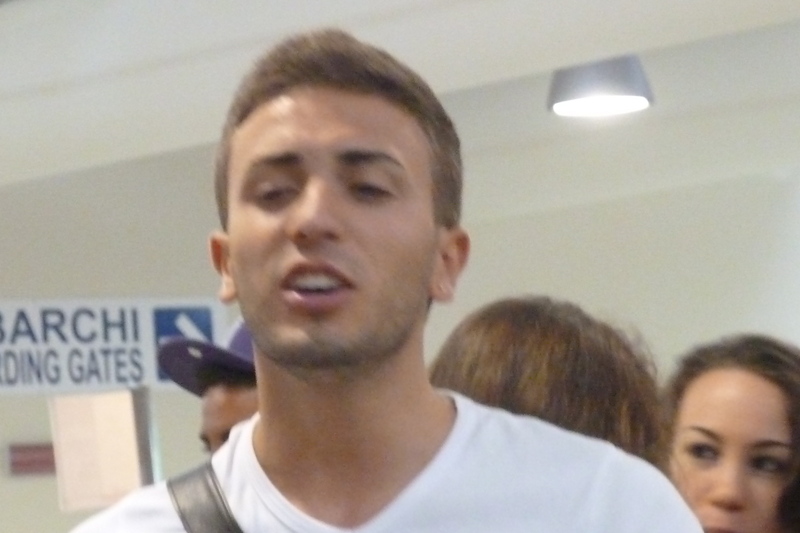 Rome Airport: Young Italian men pluck their eyebrows these days. They don’t mind if you take their picture. They practically pose. Their girlfriends do mind when you take pictures of their boyfriends. I think they also give their guys lessons on how to over-enthusiastically use tweezers. 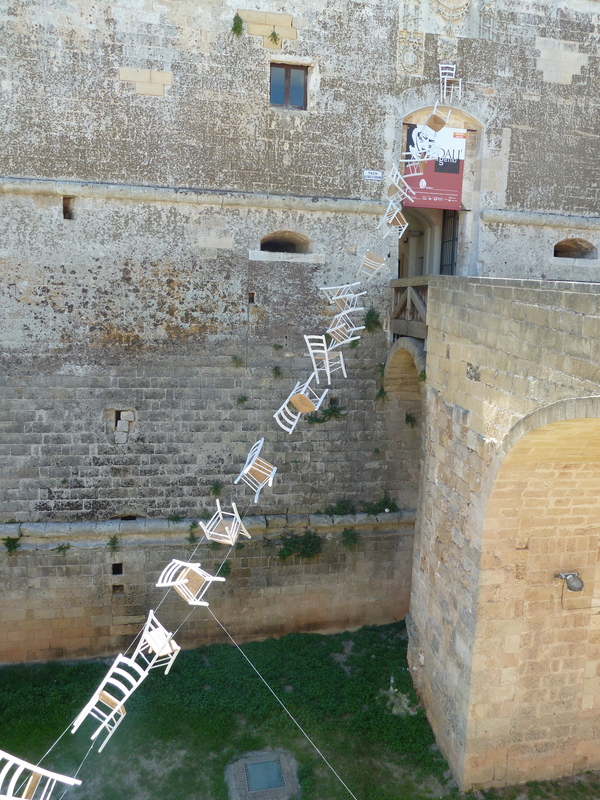 Chairs in the air by a castle. 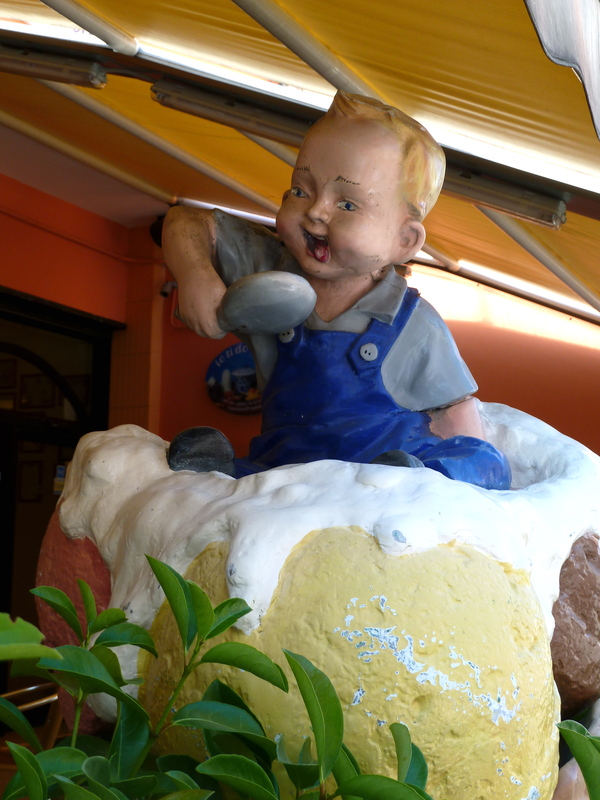 Perhaps back in the day, this deranged baby created demand for gelato outside this shop in Squinzano, Italy. Today he’s just scary. This guy looked positively macho before he stripped down to his swimsuit. 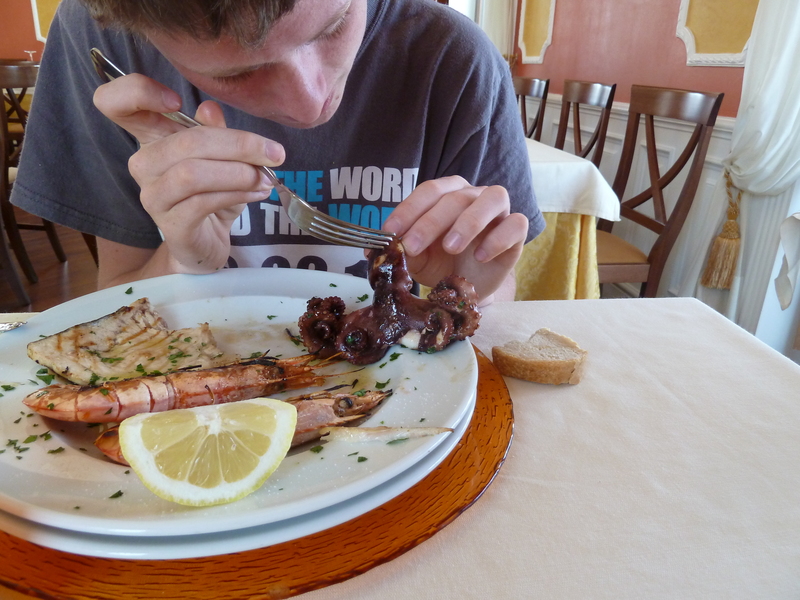 The poor boy ordered “Mixed Seafood Grill.” He expected (per the menu) swordfish, shrimp and cuttlefish. He got swordfish, crayfish with shrimp fronts, and a small whole purple octopus. With eyes. Or at least dents for eyes. He ate (part) gamely. 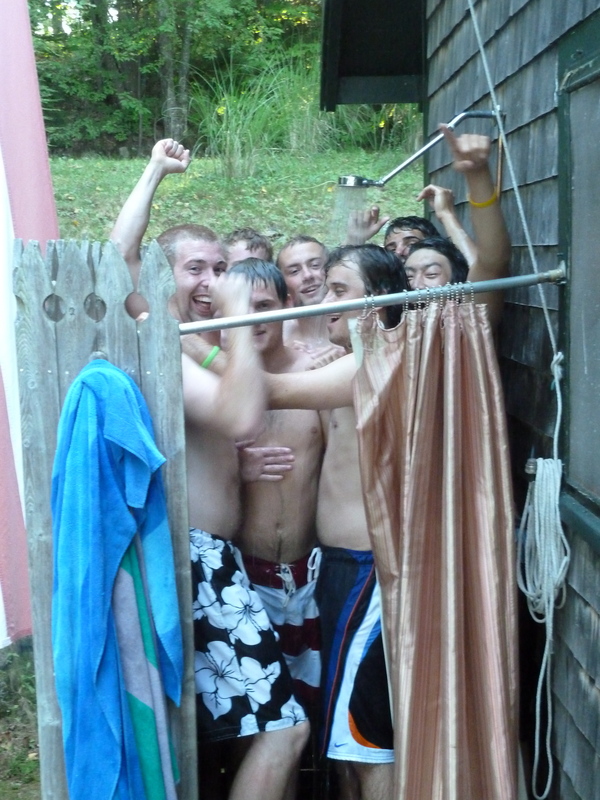 The only tweezers getting near these guys are the ones taking out splinters from the collapsing shower walls. Design School vs Harvard MBA: which is harder? Julie, I see guys getting threaded and eyebrow waxed at Benefit out here all the time. Straight and gay. Noone wants a unibrow. I think it’s the matter of degree. 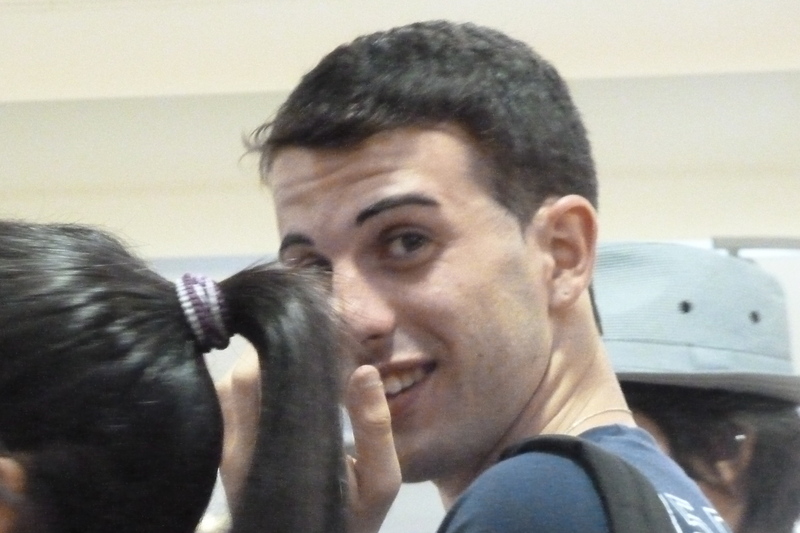 With the Italian men we saw, their eyebrows weren’t just subtly tidied up. They were really shaped, arched, and reduced to a more typically feminine look. Just got back from extensive travels in Spain. It was not at all uncommon to see straight (and who knows, maybe some gay) Spanish boys 14-19 years old with very deliberately shaped, trimmed and plucked eyebrows. Ooo…that is wild to think of this strange style spreading. The guys I saw in Italy had girlfriends hanging off of them, BTW.